First-generation students are navigating uncharted territory. As the first in their immediate families to pursue education at a four-year college or university, they have to surmount all the usual challenges of Harvard. But they face an additional hurdle: their parents can’t give them advice on surviving college. When Andrew Perez ’20 questions why he came to Harvard, he looks at an old photograph. In it are two of his nephews at ages 2 and 8, respectively. They’re sporting Harvard t-shirts and broad smiles. He says it reminds him that, while Harvard may be a daunting place for a first-generation college student like himself, he’s blazing a trail for the rest of his family members. Perez’s parents—both immigrants from Mexico—did not attend college. He has cousins who have pursued education at local community colleges in California, but he’s the first in his family to earn a place at an Ivy League institution like Harvard. He hopes he won’t be the last. A few decades ago, when Dean of Admissions and Financial Aid William F. Fitzsimmons ’67 attended the College, he says first-generation students were few and far between. In the past 15 years, though, Harvard’s first-generation student population has soared with the launch of the College’s Financial Aid Initiative. Now, first-gens make up about 15 percent of the student body, according to Assistant Director of Financial Aid Charlie S. Kim. But the influx of first-gen students brings its own set of difficulties as the University grapples with how best to support their unique needs. Harvard has already made strides in growing and developing these resources. At the administrative level, the past decade has given rise to the strengthening of supports like the Bureau of Study Counsel, the Office of Career Services, Counseling and Mental Health Services, and freshman advising networks. Harvard has also created new initiatives like the First Generation Program, which assists first-generation students as they apply. Students and alumni have also worked to make Harvard more of a home for first-gen students. In 2012, Kevin B. Jennings ’85 started the First Generation Harvard Alumni group, which operates a one-on-one mentoring program for freshmen. About two years after that, undergraduates organized the First Generation Student Union to establish a support network for first-gen students and to lobby on their behalf. Jasmine M. Waddell, a freshman dean, calls this network of advisors and resource offices a “high-touch” approach to helping first-generation students overcome barriers to their success at Harvard. But as peer institutions like Brown University pilot centralized procedures for helping students transition to college—such as a summer pre-orientation program and a center for first-generation college students—some are asking whether Harvard is doing enough to keep up. Getting first-generation students to apply to Harvard, Jennings argues, is “half the battle.” Helping them thrive is the other. Sufia Mehmood ’18 wasn’t planning on applying to Harvard, or any school. A graduate of a public high school in a small town near Sacramento that she says had never sent students to the Ivy League, Mehmood had already set her sights on going straight into the workforce after she finished high school. She was the first in her family to graduate from high school, and she would also be the first to attend college. “I already had a job, and most people go to college to get a job, so I didn’t think I needed to go,” she says. The movie “Legally Blonde” changed her mind. The two of them decided to submit applications to Harvard, mostly as a joke. They spent hours researching the college application process and crafting the supplementary essays, but did not expect them to yield positive results. In fact, when the letters came from Harvard in March, Mehmood and her friend bought frames to display their rejections proudly. First-generation students often find the college application process cluttered with roadblocks. Many struggle alone along a strenuous path lined by application fees, standardized testing, and countless essays. Some—like those attending private institutions or those accepted into pre-college scholarship programs—are lucky to have guidance counselors to help them along. Regardless, without a parent who has already navigated the process, the statistics are against them. Only 54 percent of students in the United States whose parents achieve at most a high school diploma end up enrolling in college, according to data from the Harvard Admissions Office. That number drops to 36 percent for students whose parents never attained a high school degree. 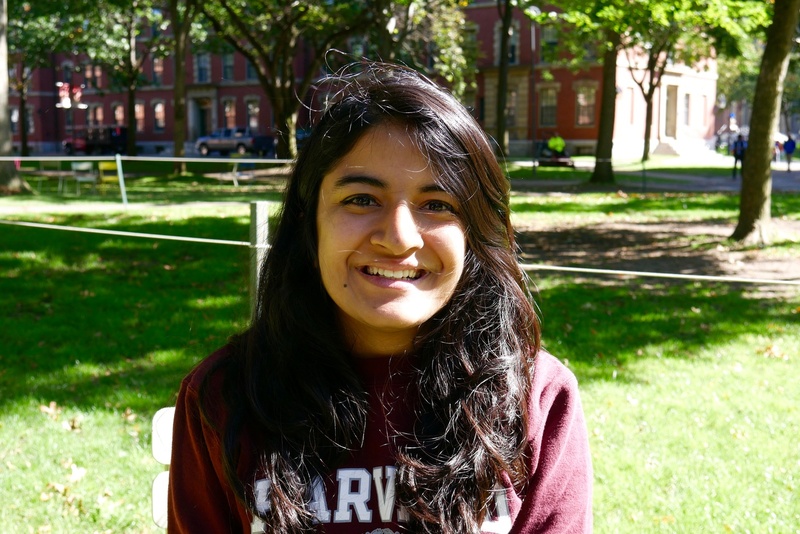 Even after getting into Harvard, Mehmood still didn’t think she was going to enroll in college. That’s because, like many first-gen students, she worried the cost of attendance would be prohibitively high. So Mehmood tucked the acceptance letter—and the idea of Harvard—into her back pocket, and she went on with her life. For many first-gen students, Harvard’s Financial Aid Initiative has been the key to accepting the University’s offer. HFAI was part of a push to make Harvard more affordable for low- and middle-income students. Buoyed by a record-breaking fundraising campaign, Harvard’s Admissions and Financial Aid Office set the bar for financial support across top universities in the United States. They’ve committed to a no-loan financial aid package that will meet the cost of attendance for students hailing from households with annual income under $65,000. In Harvard’s most recent accepted class, 16.3 percent of respondents to a survey conducted by The Harvard Crimson said they were first-generation students. 94.3 percent of those first-gen students said they received some form of financial aid from the college. Smaller grants can have a huge impact on first-gen students as well. The Winter Coat Fund offers up to $200 to low-income freshmen to purchase winterwear. The “start-up grant,” endowed by a $25 million donation from first-generation alumnus Timothy R. Barakett ’87, gives freshmen on full financial aid $2,000—disbursed over two semesters—to buy textbooks when they first arrive. Jennings has an impressive résumé: During President Barack Obama’s administration, he was named the Assistant Deputy Secretary for the Office of Safe and Drug-Free Schools in the Department of Education. He never forgets his humble beginnings, though. A first-generation alumnus, Jennings grew up what felt like worlds away from Harvard in a low-income single-parent household in rural North Carolina. When he arrived at Harvard, he felt isolated. During his freshman year, Jennings enrolled in a course on European history. When he went to Widener Library to find sources, he realized that most of the books on his topic were written in German or Danish. He went to his TF for advice. Jennings says he suffered from this sensation—what he describes as “imposter syndrome”—throughout his entire undergraduate experience at Harvard. For first-generation students who lack access to institutional and cultural knowledge—or what Fitzsimmons calls the “secret handshakes” of Harvard life—learning these “terms of engagement” is a difficult task, and one that they often face alone. Over the years, Harvard has faced a growing call for a program that could address these concerns before students arrive on campus. Those efforts have seen some roadblocks: In January, Dean of the College Rakesh Khurana rejected an initial proposal to form a summer “bridge program” for first-generation and low-income students. But efforts did not die down. When Perez was elected president of the FGSU, he knew immediately that he would spend his tenure crafting a new proposal for a bridge program. Perez, a freshman at the time, was startled that one did not already exist. Peer institutions like Princeton University have, since 2015, offered multi-week summer institutes to help first-generation students acclimate to the rigor of college life. Even Perez’s high school offered a bridge program for incoming first-generation students. Perez and the FGSU have met with College administrators for an average of 20 hours per week since last spring in an effort to construct such a program. The result: In late August, Khurana announced Harvard will pilot a pre-orientation program for students from “historically marginalized communities” starting in the summer of 2018. 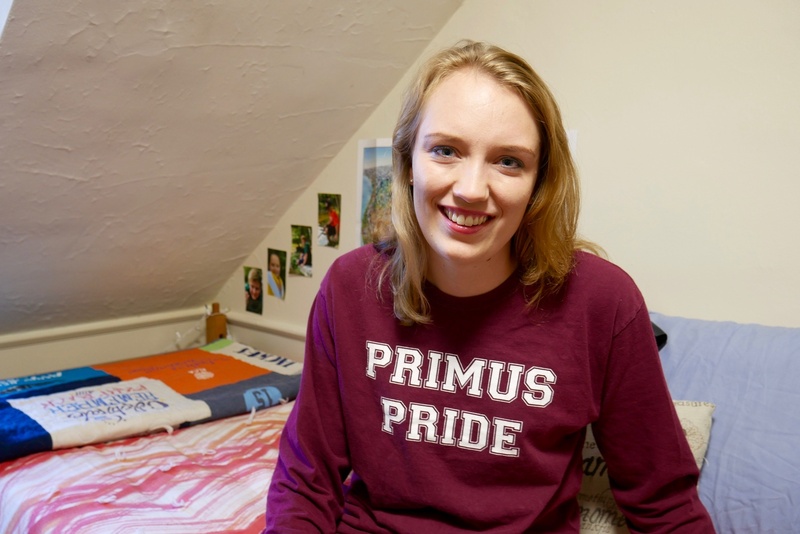 Katie W. Steele—the program’s administrative liaison and an employee at the Freshman Dean’s Office—says the College is looking to model the new program on Harvard’s Freshman International Student Program. Participants of FIP convene on campus a week before Opening Days to learn about navigating Harvard and life in America. The program uses a “family” structure, pairing a group of four or five students with two peer advisors. The new pre-orientation program might use a similar structure. Currently, the program does not have a director. Steele expects that one will be chosen by November. In the meantime, Steele meets with Perez—the only student currently on its steering committee—to talk over ideas and reach out to other individuals who might want to get involved. The pre-orientation program will aim to foster a community on campus before Opening Days and make accessible what Waddell described as a diffuse network of resources. Additionally, the Freshman Dean’s Office created a new administrative position this year: the First-Generation and Low-Income Student Advocate. Sa-kiera T. J. Hudson, who was herself a low-income and first-generation student at Williams College, occupies the position. She’s also pursuing a PhD in social psychology at Harvard, researching social identities including first-generation and socioeconomic status. 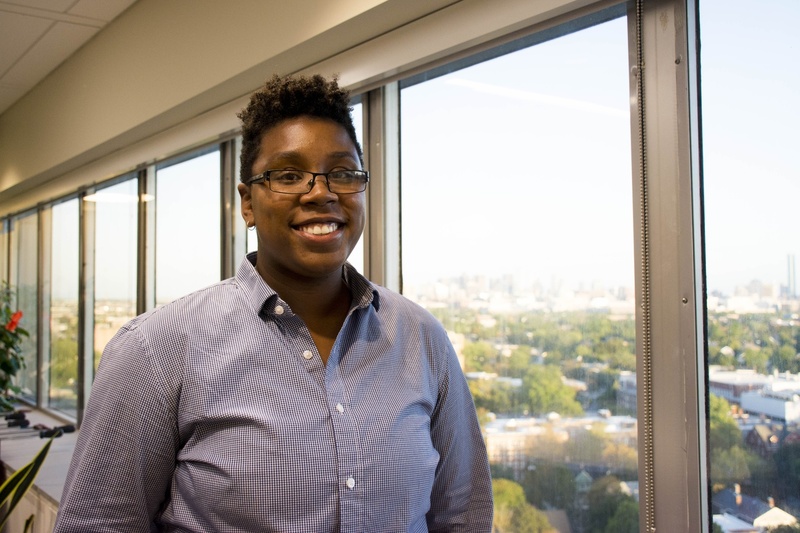 Sa-Kiera Hudson, the Freshman Dean's Office First-Generation and Low-Income Student Advocate. Given her own personal experience, as well as her academic research on identity, Hudson was elated when she was selected as the First-Generation and Low-Income Student Advocate. “I was like, ‘Yes, I remember what it was like, so let me give back if I can,’” she says. Bhekinkosi “Biquey” Sibanda ’16 peered at his name, scrawled in fancy cursive, on the envelope that was slipped under his door one night during his sophomore fall. Inside, he found a mysterious card listing a time, a date, and a location. He had been invited to punch one of Harvard’s final clubs. Sibanda vividly remembers how disorienting his first punch event was. As is typical of first-gen students, Sibanda didn’t have older siblings or high school classmates who had already permeated that social network. That disconnect was magnified by the fact that he grew up in an entirely different culture in Zimbabwe. He was interested in becoming a club member, but he had no idea how to navigate a process like punch. “How do I go in there and present myself? Which parts will they like and which will they not? I don’t know them culturally, so I don’t know what they would like—and if I present my genuine self, because I’m different, the guys might not like it,” Sibanda remembers thinking. He did not end up joining the club. 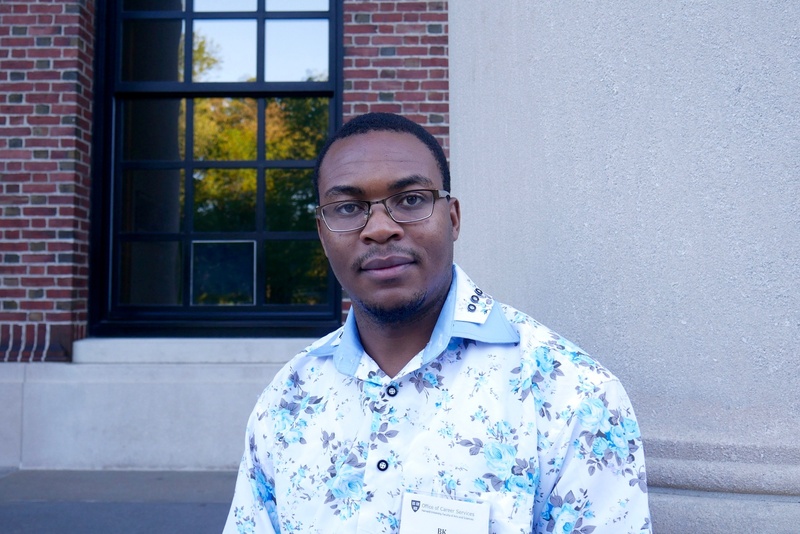 Sibanda’s concern is common among first-gen students. Jennings ascribes this shared discomfort to a lack of what he calls ‘cultural capital’ among first gen students. Cultural capital is knowledge of the “unwritten rules” of a social sphere. It is determined by social assets—including knowledge of academia, clothes, or mannerisms—that confer status. Many students have an automatic edge in the form of cultural capital from the day they set foot on campus during Opening Days. First-generation students often have to play a game of catch-up. 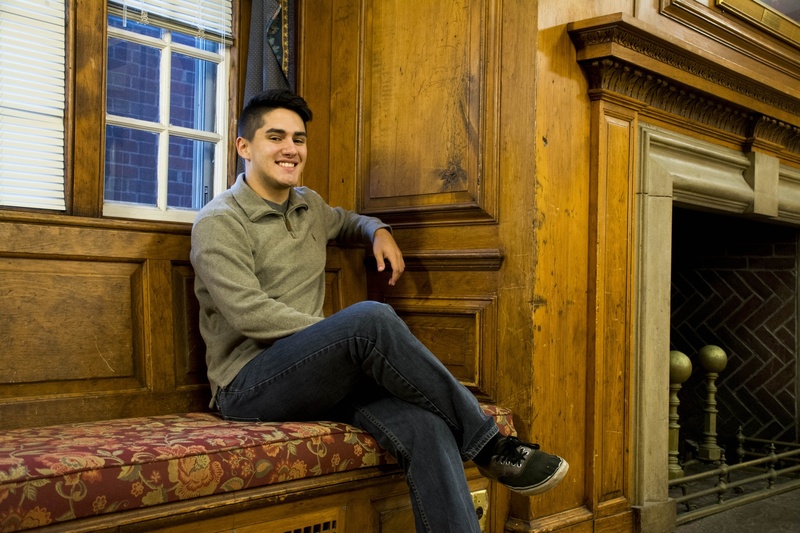 Hossam M. Mabed ’21 was similarly disconcerted by Harvard’s social scene, but his feelings were primarily directed towards Harvard’s exclusive extracurricular environment. Lots of students arrive at Harvard already accustomed to competitive high school clubs. But for Mabed, the concept of “comp culture,” in which students might have to compete for limited spots in extracurriculars, was alien. “It felt like there was a lot of exclusivity surrounding Harvard, and I feared that being in that environment would force you to be competitive with everyone around you,” he says. But it’s not just the transparently exclusive worlds of Harvard’s final clubs and comp processes that can alienate first-gen students. For first-gen students who are also low-income, many nominally inclusive college experiences or topics of conversation can feel equally out of reach. But in most cases, first-generation students are still able to find supportive networks and friendships on campus. Often, they are aided by the existence of on-campus affinity organizations—groups like Harvard Queer Students and Allies, the Black Men’s Forum, Fuerza Latina, or the FGSU. But in adjusting to Harvard’s culture, some first-gen students also experience what Perez describes as the “emotional whiplash” of reconciling their Harvard experiences with their lifestyles back home. “It’s a weird balance,” Perez says. “I don’t go home during the semesters, and my excuse to myself is the money, but I also think it’s emotionally exhausting, to go back home and really submerge yourself there, and then to have to get up and come back to Harvard and submerge yourself there. 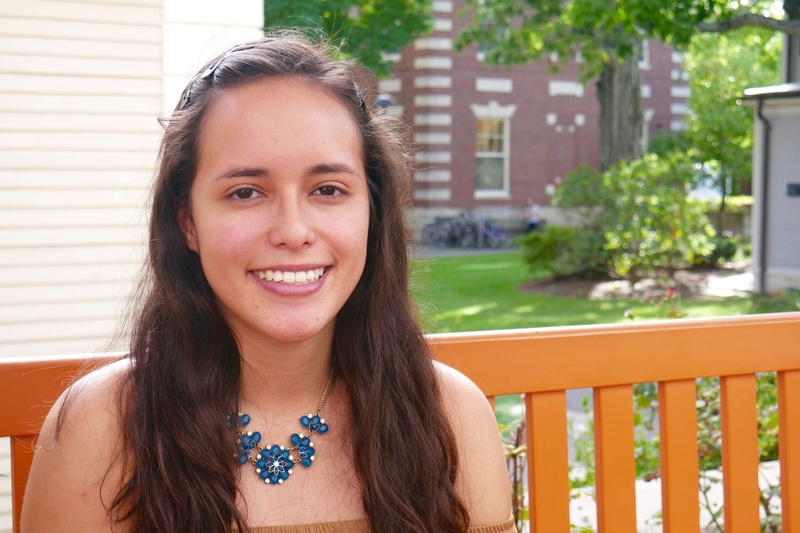 Jeannie B. Regidor ‘20 worked a part-time job during her freshman year at Harvard. It was manageable at first, but as time went on and classes ramped up, the burden of working and studying became almost too much to bear. Walkingstick said his advisor, Stephanie H. Kenen, has been his “fairy godmother.” As Administrative Director of the College’s General Education Program, she’s able to give him invaluable advice on his schedule. But though the College assigns an entire network of advisors to every student, some first-generation students find they must rely on their peers for concrete advice. Santiago’s experience is not uncommon. Waddell says that, when it comes to supporting first-generation students, “peer support is the most effective, and we know that, and that’s why we have the PAF program.” This year, the Peer Advising Fellows program invited Hudson to talk to upperclassmen about how to advise first-gens. Despite the academic resources and social support systems available, some first-gen students say they have a mentality that deters them from seeking help. Tomasz P. Wojtasik ’21 struggled on his first physics problem set. A high-performer in high school STEM classes, he was determined to finish the assignment without going to office hours. “If I could change one thing [about Harvard], it would be the ‘I’m fine’ culture,” Bassett reflects. She says that this mindset is particularly prevalent and damaging for first-generation students. Sheila M. Reindl ’80 is the associate director of the BSC, which provides tutoring and counseling services for College students. While some programs at the BSC cost money, all are subsidized for students on financial aid in proportion to the package they receive from the College. The BSC co-hosts events with the FGSU. Reindl, who was a first-gen student herself, says she has often witnessed first-generation students underuse BSC services. Harvard prides itself on an abundance of mental health counseling services. It has two professional services, CAMHS and the BSC. There are also six peer counseling groups on campus, including Indigo, which specializes in addressing issues related to race, class, and first-generation status. But students say that quantity doesn’t necessarily mean quality, especially when it comes to the specific mental health needs of first-gen students at Harvard. Senior Communications Officer for CAMHS Michael Perry acknowledged in a statement the “importance of offering a diverse counseling and mental health services staff” and said that the University Health Services will continue to recruit counselors from different backgrounds. 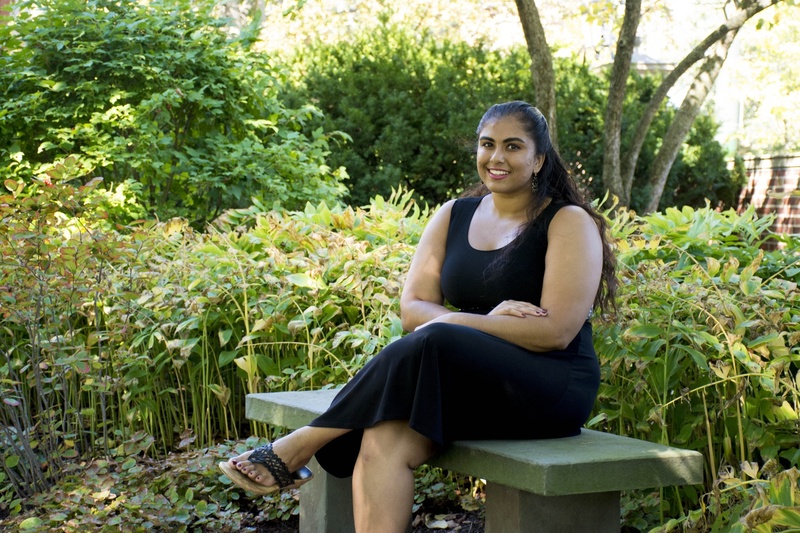 Prasai says her first-generation status has influenced her mental health while at Harvard. She was supposed to stay for dorm crew after classes finished her freshman spring, but instead left campus early, thinking she never wanted to come back. Some first-generation students also come from communities where mental illness is perceived as a myth. 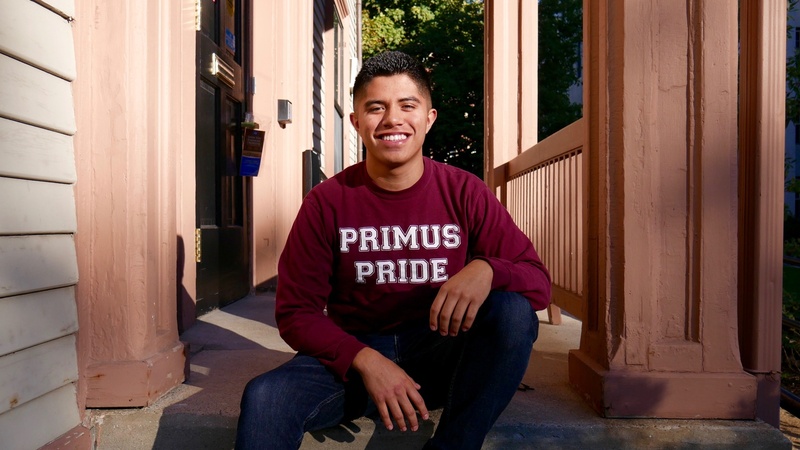 Perez is just beginning his second year at Harvard, but as president of the FGSU and a vocal proponent of the emerging summer pre-orientation program, he’s already been at the epicenter of tremendous change for many first-gen students. Harvard, he says, has given him so much. He’s traveled across the country, he’s studied abroad, he’s rubbed elbows with household names like Joe Biden, and he’s found his calling in Harvard’s Sociology department. He worries, however, that urging the College to do more on behalf of first-gen students might jeopardize his ability to succeed on campus. Perez presses the power button on his iPhone, and the image of his nephews disappears.